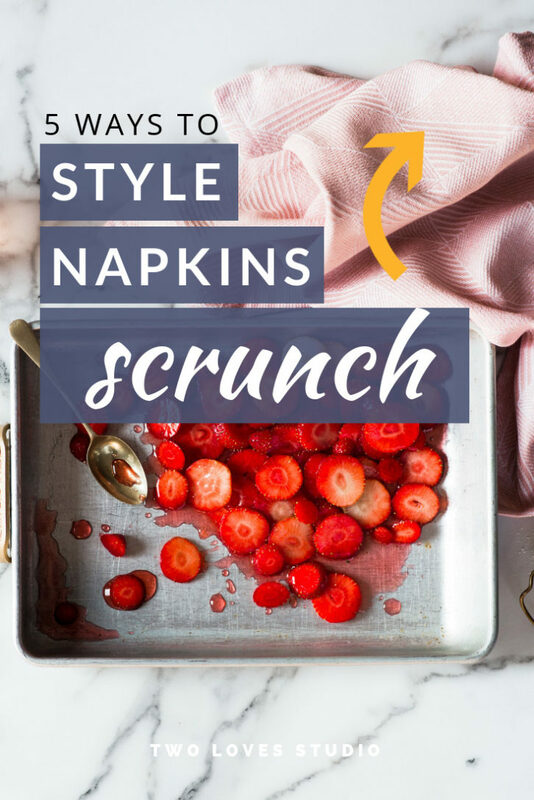 Now, this might sound a little crazy and even a bit silly, but styling napkins can be HARD! Can you relate? 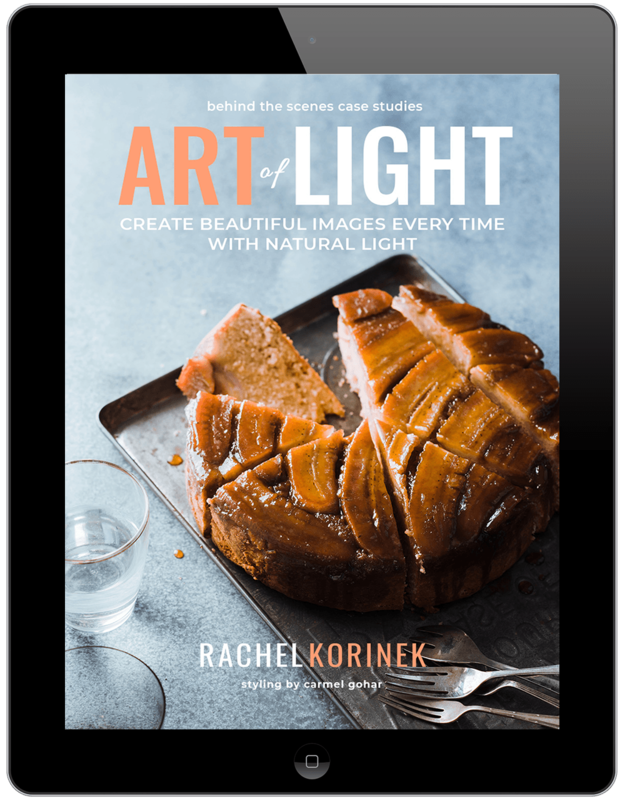 When I signed up to be a food photographer, I thought to myself…’Awesome, food doesn’t move or talk back to you’. Silence is golden. Boy was I wrong. Food somewhat came naturally to me, as I’d been cooking since I was younger and ‘rustic’ is in, meaning I don’t need to have perfect cooking skills to make something look drool-worthy. But those napkins and linens! Man, they never fold the way I want them to. This left me feeling a little bit like…what do I do with them and how do I get them to look good? Over the last five years of me shooting, working in a team and watching stylist tame them with a flick of a wrist I have picked up a thing or two. 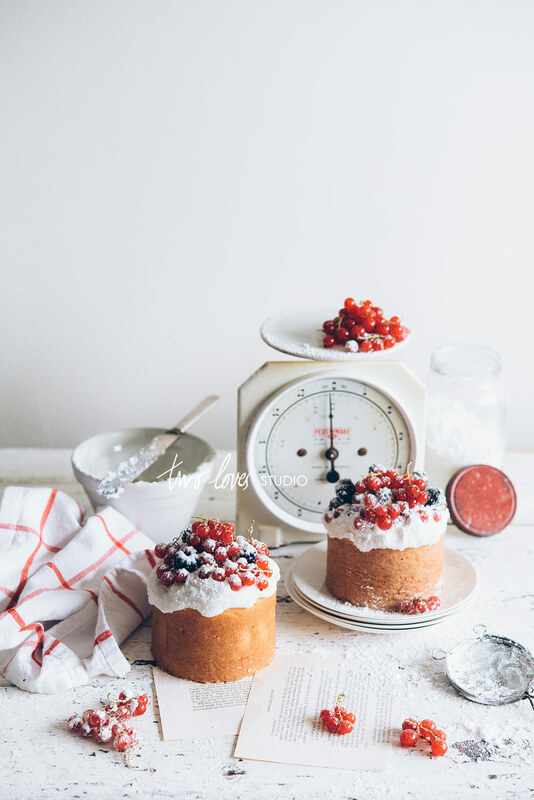 I wanted to share with you some ways to use napkins in food styling. I feel your pain when I hear you say ‘I just can’t get them to fold the way I want them to’. 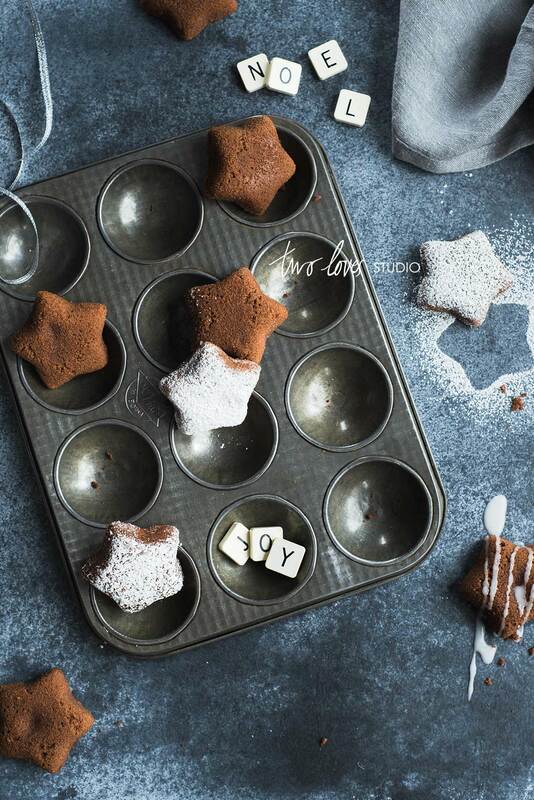 So I have created this post to give you a few tips and 5 ways you can easily use napkins in food photography. Very simple, yet effective. The Fold and Tuck is just as simple as it sounds. 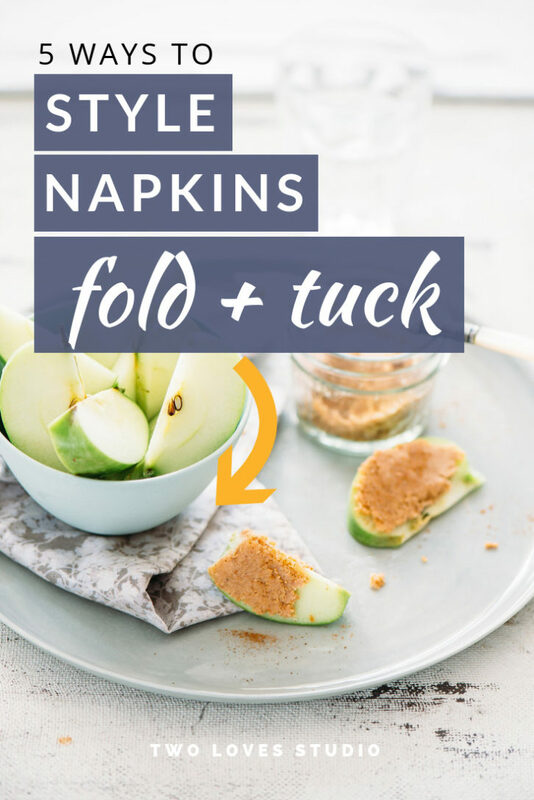 Simply fold the napkin a few times roughly, no need to be neat here, and tuck it under a bowl or plate. It’s a great way to use napkins in food photography. This technique works well with really patterned and colourful napkins/linens so that you are adding a little bit of interest to the frame but the pattern isn’t competing with the main food subject. In both attention or colour. This technique is fail-safe in my opinion. If you’re having a ‘bad linen folding day’, (which is kinda like a bad hair day, where nothing works), then this will be your fall back. No matter how you fold it, or how badly behaved your linen is being, just allow a little bit of it to peek into the frame works every time. No fuss, maximum reward. 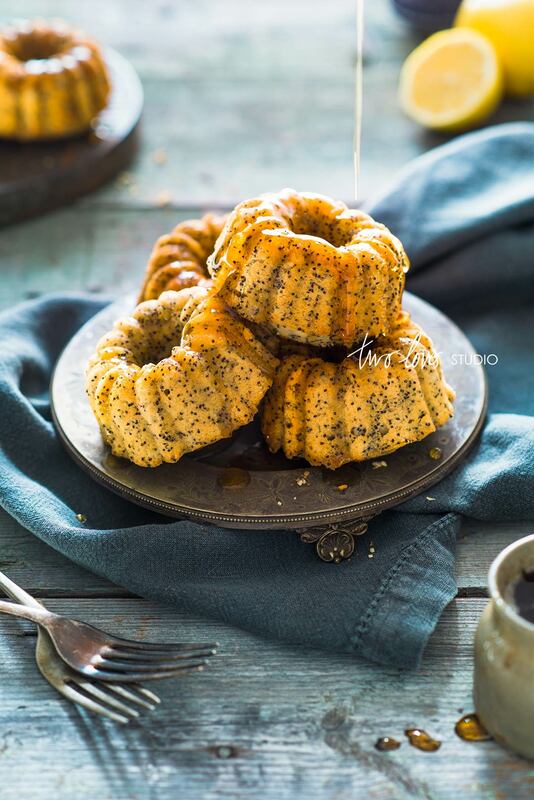 It’s a great fall back way to use napkins in food styling. TIP: Soft and seamless looking linens can be made by ironing your linen so that it’s a little warm and more malleable to work with. Back to my hair analogies, you know how a cool messy hairstyle actually take a bit of work? Well, the Scrunch is kinda similar. 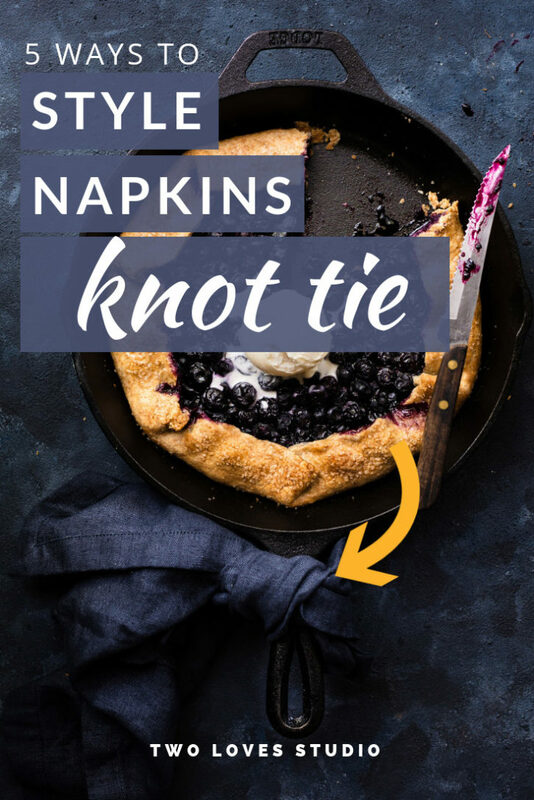 It takes a little bit of magic and flare to make the scrunch look good, but it’s an interesting way to use napkins in food styling. Basically, it’s just where you take a larger linen and scrunch, and crumple it until it stays put. It’s meant to signify a feeling of ‘in the moment’ or ‘on the go’ of food creating. It’s useful to help bring informal balance to the frame where you have subjects that are taking up more weight. Eeep! This is my favourite of them all and something that I don’t do often enough. It’s a little more fancy and cutesy, but I think it adds something special to the frame. All you do is fold the linen lengthways then tie it around the handle of your focal prop. Maybe it’ll add an unexpected way to use napkins in food photography. TIP: Create more interest by using a linen that has a different pattern on each side or half-half. That way when you fold it, you get intersecting lines or patterns to create something more intriguing. This is one is the how you know you’ve mastered the linen tossing. Stylists make it look easy and it can be, with a few tricks. It’s all about the flick of the wrist and flicking over and over until it falls naturally and beautifully. 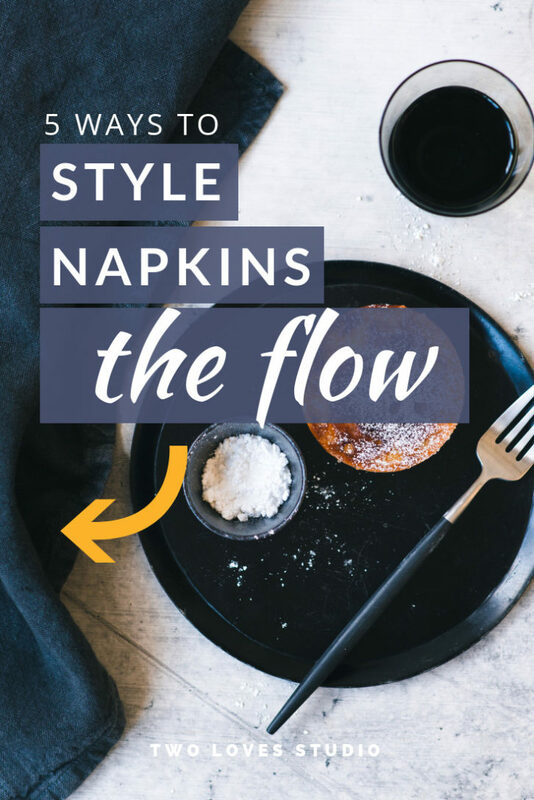 It’s a great way to use napkins in food styling to add movement to your frame. TIP: This works best for larger linens as there is more surface area to work with and create beautiful ripples across your frame. Taming linens is just like building muscle. The more you practice and implement some of these tips, the easier it will become. Even like second nature. 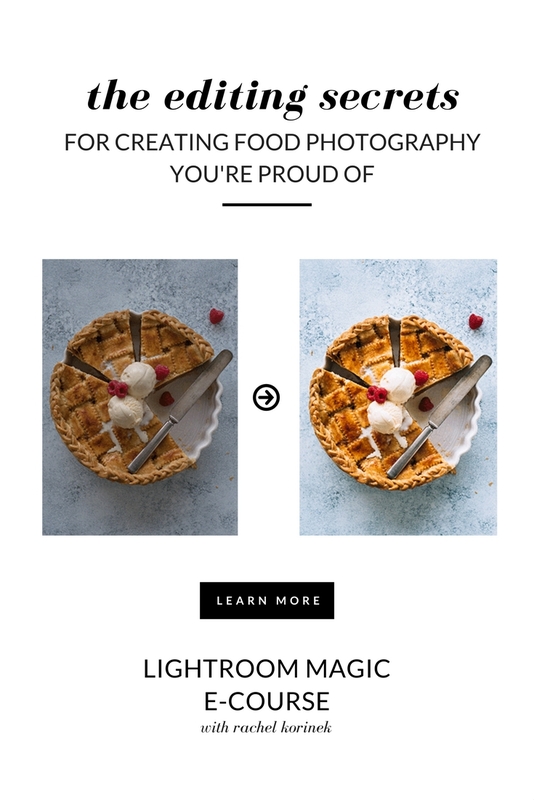 Which is your favourite way to fold or style linens in your food photography? 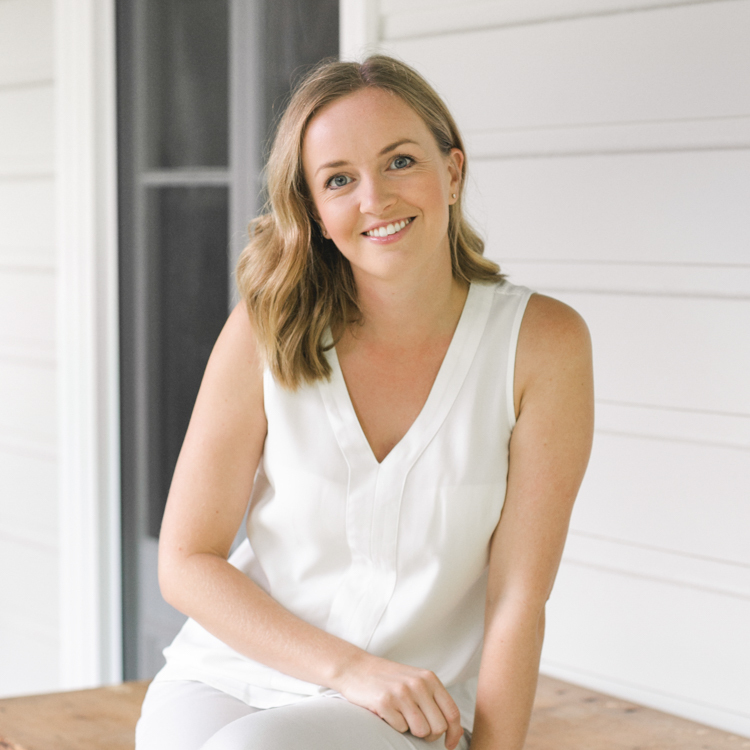 Leave me a comment below, perhaps even share a link to how you’ve styled one recently. Great post! Exactly what I was searching today. 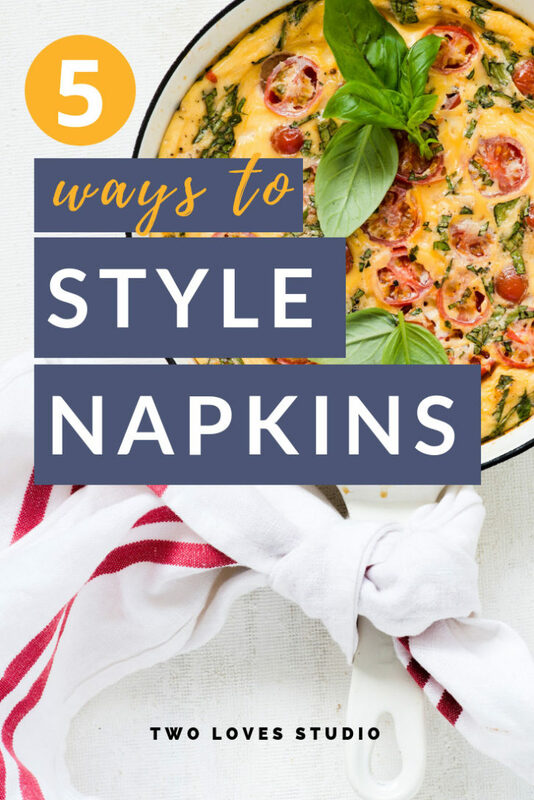 I always struggle with styling napkins. I love using fold and tuck to cover pan handles. You’re so welcome Michelle. I feel your pain, and outlining these 5 ways really helped me. If all else fails, the ‘peeking in’ will be your best friend! Can’t go wrong with that technique. gosh I’m such a napkin fiddler! I think it takes up most of my time lol! I have yet to try the knot tie and that scrunch looks great. I’ve had trouble with scrunched up looks under plates as it never sits evenly. Will be practicing before my next posts so it’s a faster process 🙂 Thank you so much for this! I think we could create a napkin fiddling club Roya, I’ve heard that from so many people. Oh, cool that you have two techniques to play with, I know they will style well for you. So pleased to read your post! Folding napkins has been a big challenge and to see how simply it can be done is great! I think I tend to overthink a problen and that makes it even more challenging than it should be. Ready to put into practice what I have learned. Hey Vicki! Didn’t I tell you I had something that you’d love 🙂 For sure, I tend to over think it sometimes as well. Hopefully this will give you some fresh and new ideas to play with! The struggle is real Fran! We could start a club :P. Thank for stopping by. Hey Silvina! Thanks for stopping by, glad you got some tips from the video. Not only I struggle with using napkins (though I love them, really), I also struggle with finding pretty ones! One would think it is easy finding plain, thin-striped ones with lovely colors, for instance, but it is not .. Anyway, thank you for yet again other useful tips Rachel! Me too! I think it is hard Sonia. It’s a never-ending treasure hunt. We’ve just got to keep an eye out. It sure can be an art form Maja, you’re so right. Glad to hear you loved the tips. Sometimes I go through a whole shoot and think my napkin folding is on point, only to find out later when reviewing the photos that it sucked! LOL. I know that feeling all too well Danielle! If you shoot a little wider, then potentially you could crop out the napkin to make it stronger. These are great, tips, Rachel. Who would have thought that the napkin would be the hardest part of food styling. The struggle is real! Thanks for shedding some light! They are a tricky little guy for sure. It’s always the simple things that actually need the most attention I find. So happy you stopped by to watch the video. Napkins are my nemesis, they really are; I look at other people’s photos, and think, “Yeah, I can do that”… only to find out that actually when I try, it just looks a mess. Kind of like how when I go out, thinking I look so trendy and boho, and catch a glimpse in a shop window of a 50-something bag lady. Napkins make bag ladies of my food shoots! Ha ha! I’m now resolved to perfect The Flow with an actual napkin and not one of my bag lady scarves! Oh yes! haha, I feel that. When you try on a new dress and it just doesn’t work for you. I’ve been there. 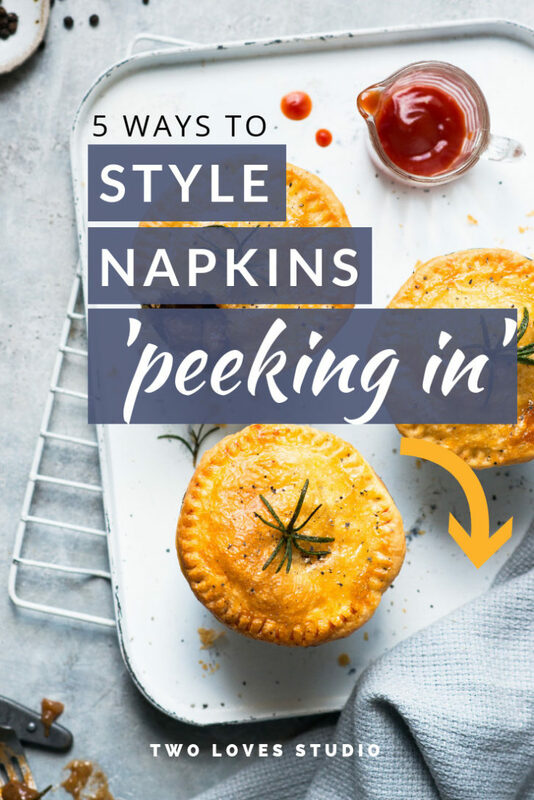 Can’t wait to see how you use napkins in your next shoot! I loved the video! So fun and helpful! Thank you for putting it together for us! Thanks so much Mel! It was a fun little project. Amazing post. To fold napkins is always a great challenge! Thank you so much! I struggle with napkins too. I think we all do Elane! It’s often the simple things that take the most effort. Hopefully this will give you some tips on your next shoot. My fav is probably the peeking in. Super easy to do. Just thought today that I would try some food photography, its really the first time I have done it! Thanks for the epic tips! Woohoo Zacaz! It’s fun right. Keep creating. 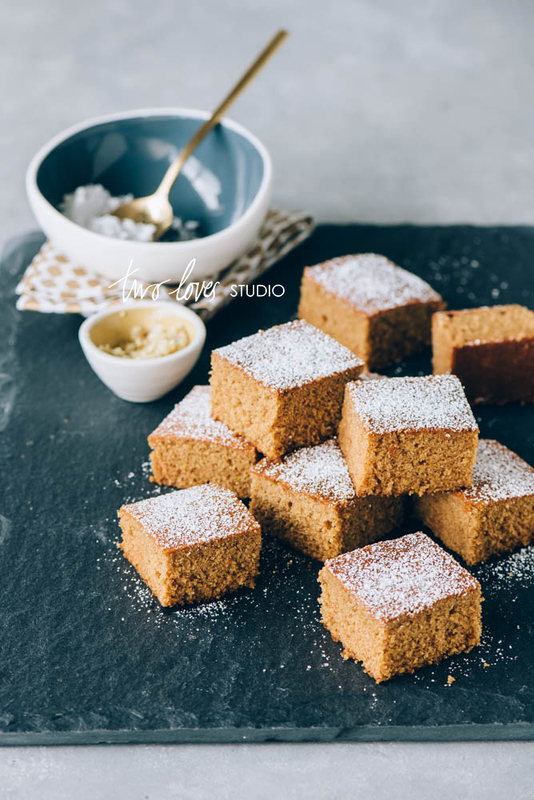 Any suggestions on where to buy linen/napkins for food photography here in Australia (or online)? Hey Hazel! Yes, I found linens and glassware the hardest to buy. Mostly I would say Etsy and you can find some in homewares stores, but I find this to be sporadic. These are such great tips! It looks deceivingly effortless when the napkins are well placed. I’ve only recently started to add props and play around with styling my images. Napkin placement is definitely something I’ve struggled with! Thanks for sharing! You’re so welcome Nita! It can be hard for sure, but I found that segmenting them into groups with names really helped me! Thank you Rachel for the tips! Your photos are absolutely lovely! Thanks so much Carita! That is so kind of you. Glad these tips were helpful!